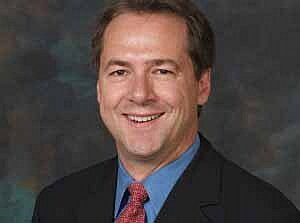 HELENA – Democratic Governor Steve Bullock says the No. 1 concern he has with the Legislature’s proposed budget is the lack of funding for essential services. “That’s everything from senior and long-term care, to how they’re funding higher education, to what had been done with child protective services,” he said. The state is facing a tight budget this session. In the House Appropriations Committee, where Republicans hold a majority, both parties are trying to find a middle ground. The committee took action on amendments to aspects of House Bill 2, or the main budget bill, Thursday morning. Some of those included reinstating funding to the state airplane, which unanimously passed, and restoring a full-time attorney to the Commissioner of Political Practices Office, which failed on party lines. The committee will continue hearing amendments on the bill through Friday. Chair of the House Appropriations Committee Nancy Ballance, R-Hamilton, said House Bill 2 will be heard on the House floor next Thursday and Friday.